Dalton Rapattoni sings ‘Numb’ by Linkin Park on American Idol Live Show, Thursday, March 17, 2016. “You take the song you make it your own. But I’m waiting for you to head bang on it,” said Jennifer Lopez. “You spent a lot of time thinking about those words. Your just a little bit ahead of the beat,” said harry Connick Jr.
“It wasn’t fully Daltonized. It was something in between,” said Keith Urban. 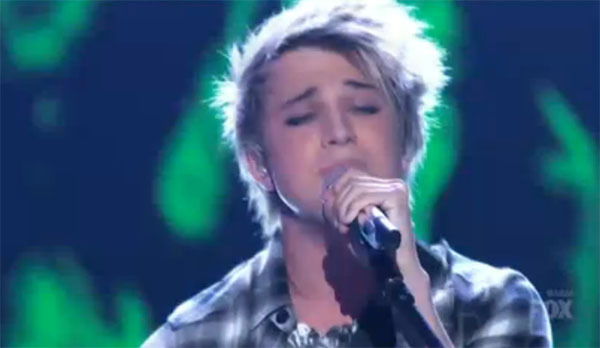 Dalton Rapattoni – Top 5 Revealed: "Numb"
It's impossible not to feel Dalton Rapattoni's rockstar presence as he performs "Numb" by Linkin Park. What can you say about Dalton Rapattoni’s performance? Sound off on the discussion box below.